It’s almost a tradition in alternative music to put on shows that fall on Halloween. Bands treat it a bit like a rite of passage – like you can’t call yourself a heavy band if you haven’t played a Halloween show. Rolo Tomassi aren’t strangers to hosting events on the spookiest night of the year, and 2018 is no exception as they put together a special Halloween gig to mark the beginning of their headline run across the UK. Special is exactly what it was. Local duo Bone Cult kicked things off with their unique blend of ‘Death-Electronica’. They marched onto a smoky stage donning a pair of Purge-esque masks, armed with nothing but their instruments and a dazzling light show. The set was energetic and engaging, but the small gathering of early attendees didn’t feed that energy back to them. It was an impressive display nonetheless, and an intriguing start to the evening. Next up was Cassus, a quartet hailing from Norwich. Unlike the openers, they stepped out wearing regular clothes. Not scary at all, right? Well, the music was. It was immediately obvious why they were on tour with Rolo Tomassi; every song was frantic, chaotic, loud and bursting with energy. The performance matched the music too, with each member of the band thrashing about for every sweat inducing second of their set. 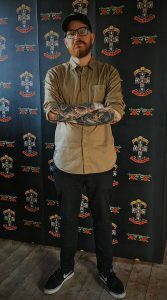 The main support came from Norwegian punk rock outfit Blood Command. They’re no strangers to big support slots, having supported Comeback Kid and Biffy Clyro across Europe in the past. This was their first time in the UK, and they impressed the now full room in Nottingham. Front woman Karina Ljone screamed and danced her way across the stage throughout their fun and explosive set, with big rock riffs and gigantic drums flying at you from every angle – picture Cancer Bats and Steel Panther going to the pub and writing some songs together after a few beers. That’s how Blood Command sound. The crowd lapped up every note and, after the last one rang out, they were all prepared for the main event. Creeping out onto a murky stage covered in corpse paint, Rolo Tomassi wasted no time bursting straight into ‘Rituals’ from their 2018 record ‘Time Will Die And Love Will Bury It’. A rollercoaster ride of black metal tinged riffs, blast beats and blood curdling screams, the energy levels hit an instant high and left the crowd stunned. And that was after one song. The set was nothing short of brilliant, with songs spanning their entire career. There were mass singalongs to golden oldie ‘Party Wounds’, lethal pits to ‘Alma Mater’, sways of appreciation for ‘Opalescent’ and ‘Contretemps’. It was a beautifully structured, well navigated set that shone a light on every weapon they have. The highlight of the night was the set closer ‘A Flood Of Light’; enormous walls of sound, decorated with Eva Spence’s blend of venomous and angelic vocals and masterful musical shifts. Not only was the set incredible, but the show that they put on was the best of the evening too. Guitarist Chris Cayford and bassist Nathan Fairweather balanced their erratic and gentle movements to match the vibe of the music. The most impressive thing, though, was that their playing during the erratic moments didn’t suffer, with not a single note out of place. Drummer Tom Pitts followed the same suit, not missing a beat for the entire evening. A total powerhouse. Vocalist and synth player James Spence was the most reserved of the band when on the synth; yet when he abandoned his post for vocal duties he was as chaotic as the rest. The real star of the show, though, was Spence. She put on a hypnotic and haunting display, switching from ballet-like flowing movements to erratic thrashing – a real Jekyll and Hyde type performance. It was hard to focus attention elsewhere, as her command of the stage was masterful. The set was as visually stunning as it was aurally. It was flawless. 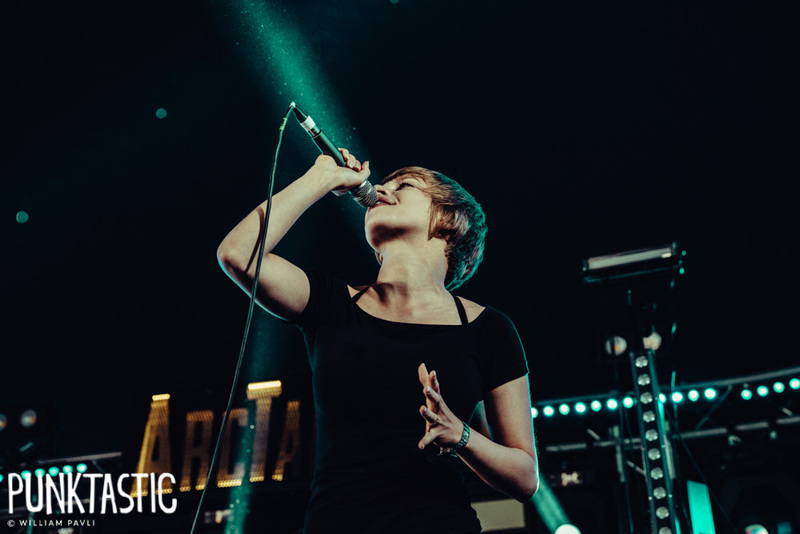 Rolo Tomassi are at the top of their game right now. Having released the best record of their career earlier this year, they’ve now mastered the art of live performance, and are going from strength to strength. If you aren’t already on this hype train, get on it now. A perfect evening from a perfect band.